We’ve been longtime fans of Patron XO Cafe, a tequila and coffee liquor which costs literally half the price of Patron Silver Tequila. Patron XO isn’t extremely well known and we’ve enjoyed introducing people to this delicious spirit. We were quite surprised, but entirely excited, to hear that Patron is releasing another tequila-based liquor in their Patron XO line: Patron XO Cafe Dark Cocoa. 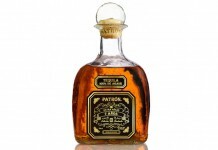 As with Patron XO, the new Patron XO Cafe Dark Cocoa uses Patron Silver as its base spirit, and it’s also priced extremely low at $24.95 (again, half the price of Patron Silver). Both the coffee and the chocolate in Patron XO Cafe Dark Cocoa are sourced from Mexico: the chocolate is a Criollo variety which is produced in Mexico’s Tabasco region, and the coffee comes from the Mexican states of Veracruz and Chiapas. The coffee sources are the same as Patron XO Cafe, although the brew that’s used to make this spirit is clearly different and a lot less intense. Patron XO Cafe Dark Cocoa ($24.95, 30%) – from the start it’s clear that the Patron XO Cafe Dark Cocoa is remarkably different from Patron XO Cafe. The predominant note on the nose with the Cafe Dark Cocoa is tequila, whereas in the XO Cafe it’s coffee. Under the tequila is dark, thick, and slightly sweet chocolate with very faint coffee as an undertone. As with the nose, the entry leads with tequila, and sweet agave notes are crystal clear right at the start. At the opening, the chocolate notes are soft and subtle, acting more as an undertone of the tequila. The chocolate flavors ramp up in the mid palate where they are joined with just a dash coffee. The coffee here feels more like a supporting character than a lead note (as it is in XO Cafe). 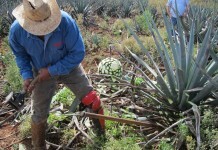 Patron’s signature pepper flavor is also apparent in the mid palate but without much of a kick. The chocolate notes are really solid and taste like a good quality semi-dark chocolate with absolutely no artificial elements to the flavor. The finish is long and sweet with a hint of pepper, agave, and chocolate lingering on the palate. There’s absolutely no heat or kick, making it incredibly easy to drink. Patron XO Cafe Dark Cocoa is at a lower proof than the XO Cafe (with 5% less alcohol), but it tastes a lot more like a tequila liquor. Without the strong coffee notes there isn’t as much bitterness, although the pepper notes from the tequila are more predominant and help keep it from becoming uncomfortably sweet. Overall though, the flavor profile is decidedly sweeter than XO Cafe. 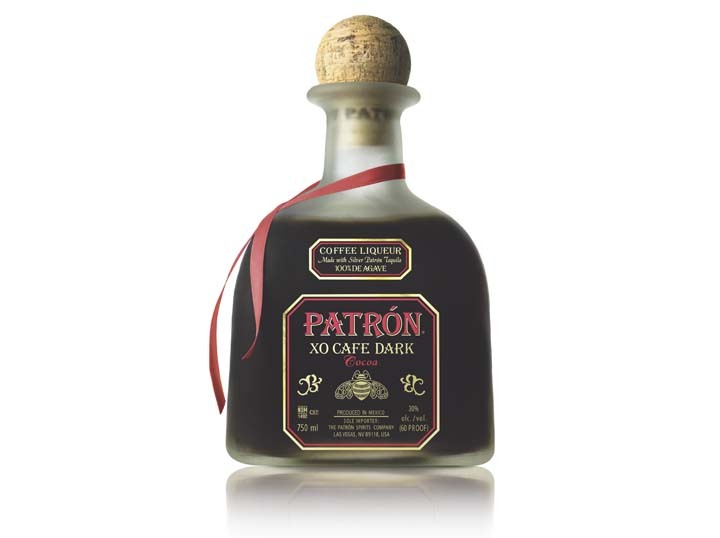 In many ways, Patron XO Cafe Dark Cocoa feels like Patron XO Cafe 2.0. Patron has come back around and recast their offering so it’s more tequila forward, has less coffee flavor, and is softer and sweeter with less alcohol. It also more closely resembles the amazingly successful strategy that Jack Daniel’s has with their Tennessee Honey Liqueur, a gentle and clear introduction to the core product, which in this case is Patron Silver Tequila. Put simply, Patron XO Cafe Dark Cocoa is dangerously delicious. 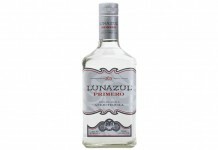 It manages to deliver a chocolate coffee liqueur experience that also preserves the wonderful flavors of the base spirit, appealing both to tequila fans and drinkers looking for a softer, sweeter introduction to the category.